I am so excited to share one of our new suites with you! 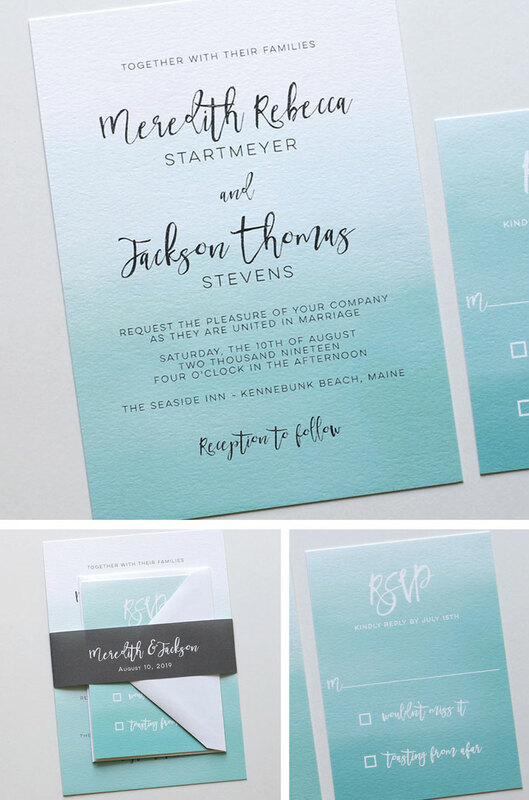 This is our ombre wedding invitation suite. It has such a beachy and modern feel and is definitely one of my favorites! I love how the gray and white mix with the turquoise ombre. Want to see it in person? You can order a sample here.